WIP 2. I’m making another round crochet boho cushion. I think my crochet is improving! This one is definitely technically better than the ones I’ve made before and I’ve barely frogged!. I am in the process of putting a pattern together for the Vintage Caravan Sewing Machine Cover. 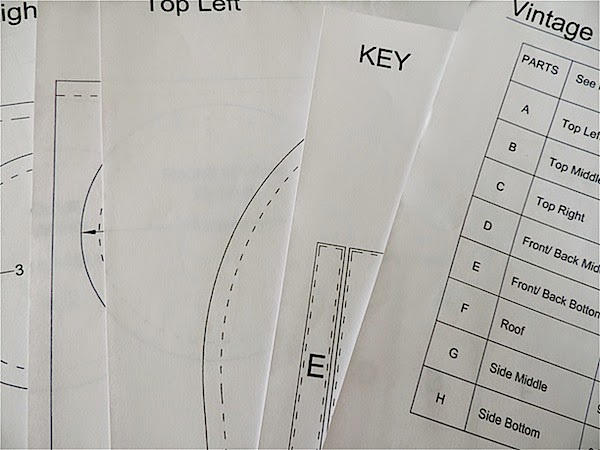 It has taken me a little while owing to the technical challenges of getting a simple but large template into a version that can be printed on A4 sheets of paper but, with considerable assistance from my son, Ewan, I now have a draft printable version of the pattern pieces. I’m planning to offer this basic pattern (as a digital download) FREE for a couple of weeks in my etsy shop and to post instructions for making it up here on my blog. I am expecting to work on this over the weekend and to post early next week. Once I’ve assured myself that it all actually works ok I’ll make a digital download including the pattern pieces and instructions and offer them for sale. I have made a facebook page and I will update progress there. This really is the cutest machine cover I have seen. Sew glad you are making a pattern for it. This will definitely be worth it as it will sell like hot cakes! I love it! Oh my. These are just GORGEOUS! I love the kaleidoscope project. The black and white print fabric paired with bright colours creates a wonderful effect!! The AMH with the text print is so beautiful! You've got great projects going on Janine! 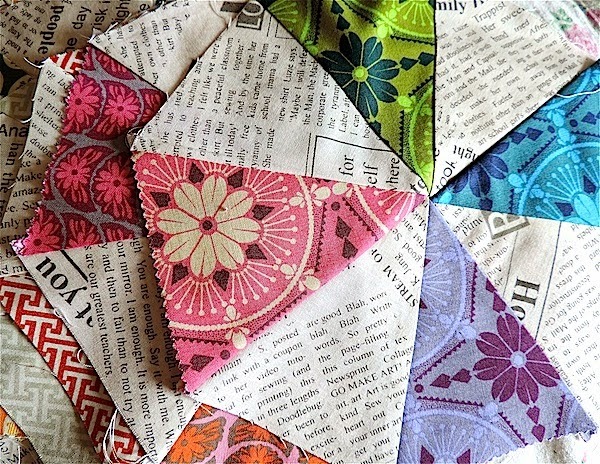 Your kaleidoscope blocks look interesting and the boohoo crochet cover is really nice. Looking forward to seeing what the Kaleidoscope blocks turn into! 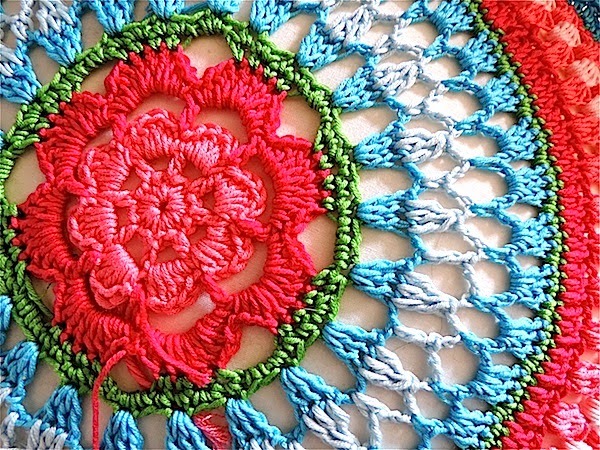 Your kaleidoscope something is looking rather spiffy….as is your crochet. 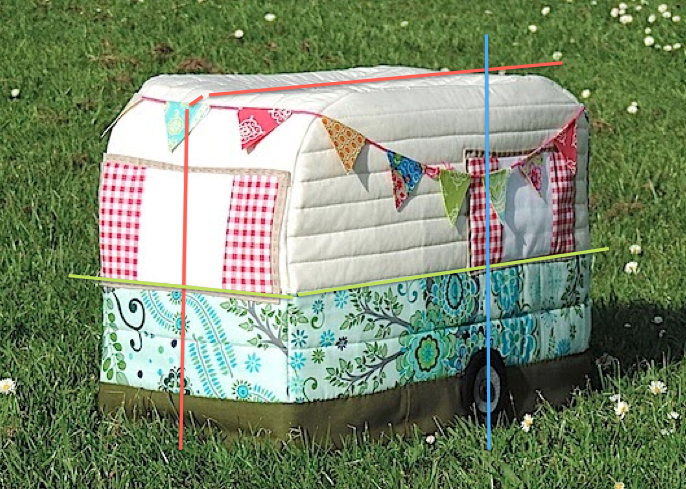 A digital retro caravan pattern…that sounds a bit clever!! Aren't grownup sons handy to have around Janine? I love the pairing of the AMH fabric with the text fabric. You are a busy, busy gal! Loving all that you are working on. Your crocheting is spectacular, Janine! I'm so pleased that you are making a pattern for your caravan machine cover; I really love it, so I look forward to giving it a run…..
All beautiful! 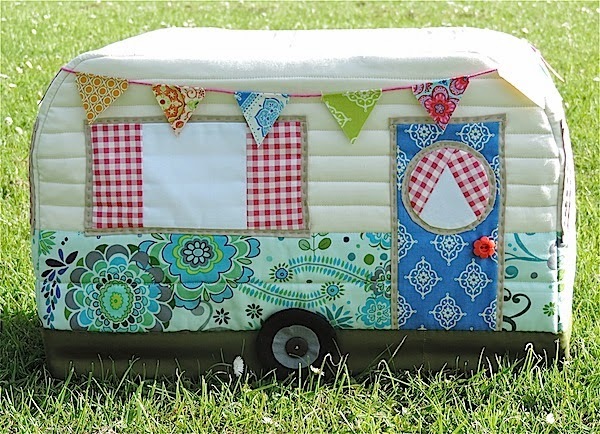 Your vintage caravan is brilliant – good luck with the pattern! 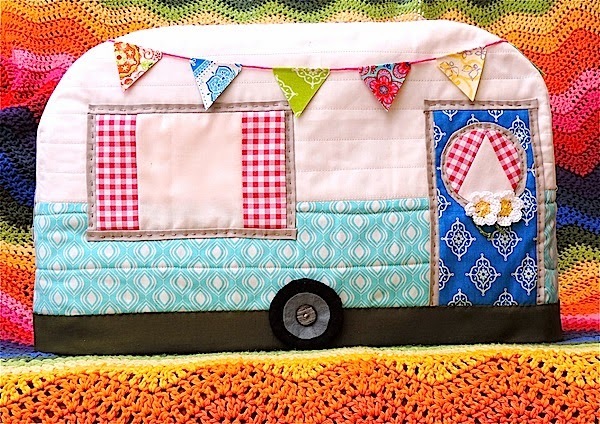 the vintage caravan cover is so dang cute! good luck with the pattern writing. I really love the pairing of your charm pack with the text print. it's awesome. I love all your colorful WIPs especially the crocheted cushion. Going to check out your Etsy shop.